Muriel Spark (1918-2006) is considered by The Times newspaper to be amongst the 50 Best British Writers Since 1945. Her novels, short stories and plays explored Catholicism, fascism, the nature of good and evil - always with satire and wit. Martin Stannard, invited by Spark to begin to work on her biography in 1992, captured this elusive writer's character in Muriel Spark: the biography. Spark was born in 1918 to a Jewish father and Anglican mother. This sense of duality was a constant theme throughout her life. She was raised in Edinburgh, showing a precocious talent for literature and poetry. Since university was not a option, her route to escape was through a early marriage. This was an unfortunate choice for Spark. After they had moved to Rhodesia and she was already pregnant, she discovered that her husband had a psychiatric illness with violent tendencies. With steely determination, she left her young son behind (this was during World War II and there were strict rules about bringing children back to England) and returned to England to pursue her literary career. It was several years before her son was able to leave Africa. He was then left to be raised by Spark's parents. This was to have lifelong consequences for both of them. Stannard had his work cut out for him. Spark was intensely private. She did not keep a diary. She gave him access to her papers, letter and to herself. He interviewed friends and acquaintances. This will certainly be considered her definitive biography. The essence of this biography is the exploration of character. Spark was a complex individual who lead a challenging life. She made unconventional decisions, choosing career over family. As a convert to Catholicism, she struggled with her Jewish upbringing. She had a desire for a solitary life, yet still needed protection and companionship. She had a difficult time balancing these needs, often alienating the people who meant her well. This biography is thoughtfully written with much consideration given to her friendships and her business relationships. 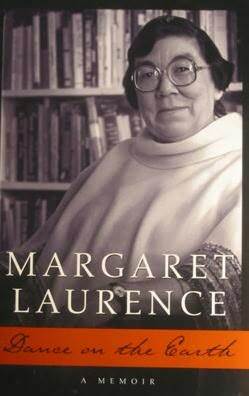 Compare with Dance on the Earth: a memoir by Margaret Laurence. 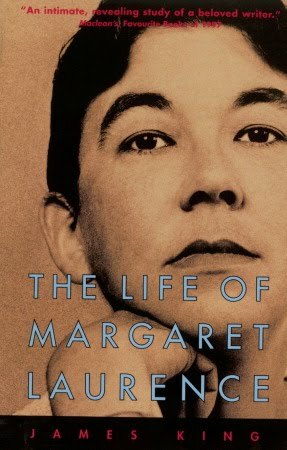 In The Life of Margaret Laurence by James King, King refers to her memoir as "deliberately evasive". Laurence and Spark shared an early unhappy marriage, the struggle between an artistic life and the demands of family, a sojourn in Africa, single-minded determinism and sensitivity to criticism.